ver since I was a kid living in a foster home with children of all abilities, I’ve been coming up with ways to utilize technology in order to allow people with disabilities to better engage and express their inner artist. 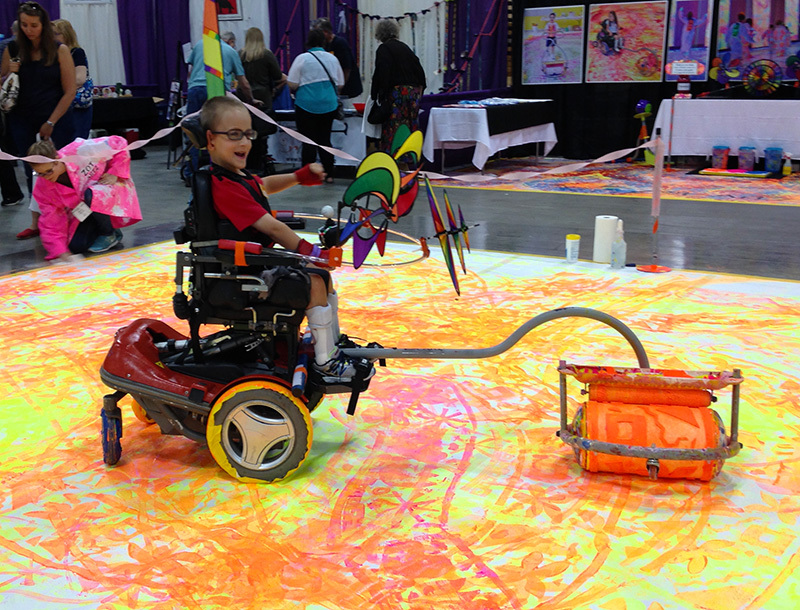 Now, at Abilities Expo Los Angeles from February 5-7, 2016, we are going to take the innovative adaptive art tools that I have invented and create something even bigger—the World’s Largest Wheelchair Painting! With the help of my amazing and caring staff, we’ll load paint into my specialized art tools, attach them to the wheelchairs and watch the magic happen. Paint will be applied in a print-like process as the wheelchair user rolls over the “canvas,” allowing participants to make their individual marks. For some, the event is their first opportunity to create art, especially on a large scale. 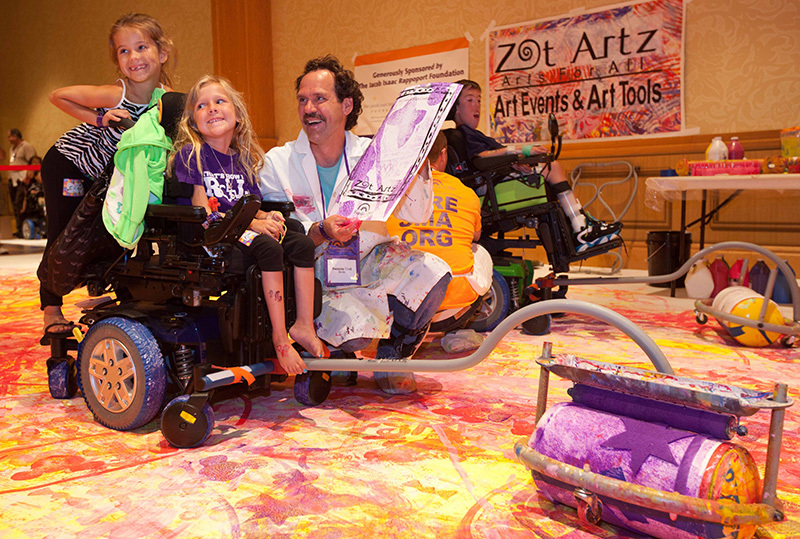 With Zot Artz art tools, disabilities suddenly become abilities that can be used in a creative way. The artists have fun while developing motor skills, social and emotional skills, concentration and self-esteem. Parents and family members have fun seeing the joy that creating art can bring. The masterpiece will unfold over the three-day Expo, using 50 gallons of paint in a rainbow of glowing colors. We at Zot Artz studio hope to create awareness and opportunities for individuals with disabilities while fostering creative expression. Come and be a part of posterity, reaching beyond disabilities into abilities in a big, bold and beautiful way! If you would like to volunteer to help wheelchair users create this masterpiece, please click here. Dwayne Szot, artist facilitator and inventor, founded Zot Artz in 1990, funded by the National Endowment of the Arts. Inventor of the adaptive art tools, he has facilitated hundreds of successful art events for individuals of all abilities at centers for independent living, parks, festivals, and schools all over the United States. His passion for bringing art to people with disabilities is rooted in his early years with foster siblings who had disabilities. He earned a master of fine arts degree from Cranbrook Academy of Art.